Our story starts from two essential truths: First, there is a need in our community for community-based programs serving at risk youth. Second, the founders of Tacoma Community Boat Builders have first hand experience of the transformative power of the sea and the influence of craftsmanship on the development of focus and inspiration for young minds. Each year, Pierce County courts dispose of tens of thousands of juvenile cases. The majority of these cases are young males, under the age of 17, at a time in their lives where every wrong decision can have profound consequence. Often more than 400 of these youths are involved with the Pierce County Juvenile Court. And of this number, some 300 will be of high school age. Most are male. tudies have shown that keeping young people out of detention and in community-based, hands-on, safe and productive environments is the key to diverting them from the paths they are on. Incarceration is costly for everyone involved, not just because of its financial impact on society, but also because of public safety and the effect it has on an already vulnerable population. Incarcerated youths become disenfranchised from educational opportunities and familial support systems. These factors often spiral youths into cycles of poverty, gang-involvement and further incarceration. The need for community-based support and intervention is imperative. Programs serving this population are scarce in our area. These facts inspired the founding members of Tacoma Community Boat Builders to take action. 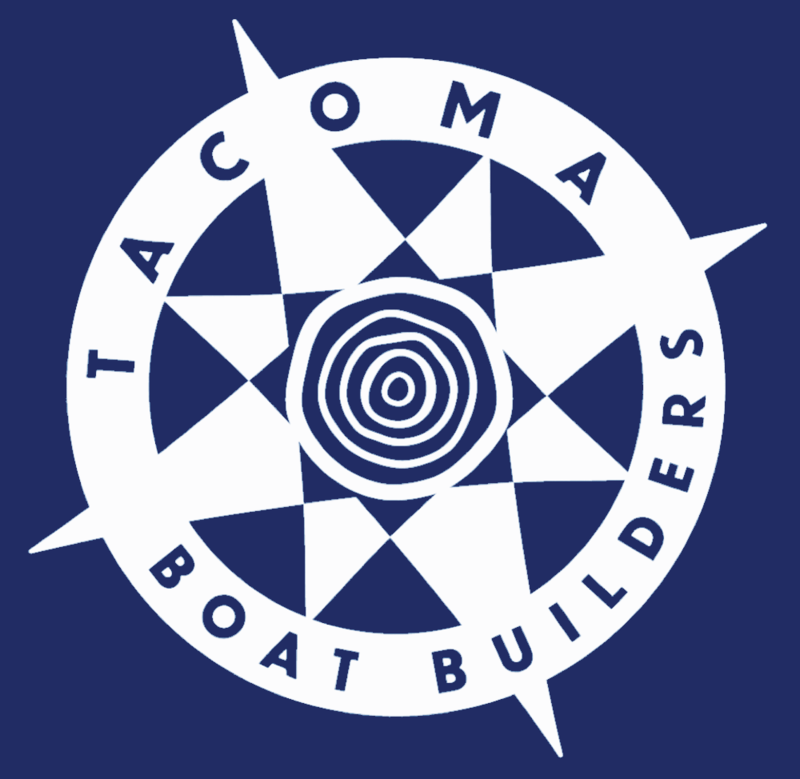 Tacoma Community Boat Builders (TCBB) began in 2012 as a commitment by a few dedicated boat builders and sailors of the South Puget Sound to share their passion for the unique experience of building and sailing wooden boats. These experiences can change the trajectory of a troubled life. Too few young people living in Tacoma, a powerful port city, know the beauty and power of crafting a wooden boat and taking it out on the water. We aim to change this. In every young heart, lives the dream of adventure and longing for a life better and different and brighter that what has been. We dream of a quest, a fast car or a long train to take us new places. We sing of a river to skate away on. But what of a boat? The few young people who have had the chance to sail seldom forget the wind and spray in their face and the pull of the boat beneath them. The quest becomes to return to the water, to go faster and farther and to better know your boat. Sailing across water becomes as air and food. Even fewer young people have the chance to build the boat that takes them racing over sea and spray. The sea, and the small wooden boats – whether kayak, canoe or sails – changes a young heart forever. The quest of the young, longing heart seeks a return to the sea again and again. You seek the perfect moment on your own perfect boat – most perfect of all the harbors of the world – for you know every board and curve of that boat built and sailed with your hand and your heart. The quest of the wooden boat is what TCBB endeavors to share with young men who have had dreams and quests stolen from them by circumstance.